Asian stocks edged to a 10-year high on Friday thanks to expectations of brisk global growth, although investors held off chasing shares higher ahead of U.S. economic data and next week’s Chinese Communist Party Congress. China’s trade data showed both growth in exports and imports accelerated in September, with imports beating expectations, adding to the evidence of recent resilience in China’s economy On top of a broad consensus that the global economy is in its best shape in recent years, expectations that U.S. President Donald Trump would push through a tax cut also encouraged investors In currencies, the dollar lost some steam in recent days as U.S. bond yields appeared to have peaked for now, with minutes from the last U.S. Federal Reserve meeting showing policymakers remained divided on U.S. inflation prospects. The next big test for the dollar is U.S. consumer inflation figures due later in the day. On top of the near-term inflation readings, investors are also looking to who Trump will nominate as successor to Fed Chair Janet Yellen, whose term expires next February. White House Chief of Staff John Kelly said on Thursday that Trump was “some time away” from making a decision, while another official said Trump had met with Stanford University economist John Taylor to discuss the job. Another main focus is China’s 19th Communist Party Congress that begins on Oct 18, where President Xi Jinping is expected to lay out new policy initiatives and consolidate his power for a second five-year term. The euro traded at $1.1847, slipping from Thursday’s high of $1.1880 but has kept weekly gain of 1 percent, though the currency remains dogged by the crisis around the Catalonian independence movement’s campaign to split from Spain. The U.S. dollar slipped lower against other major counterparts on Friday, erasing gains posted after the previous session's upbeat U.S. data, as investors remained cautious ahead of a highly-anticipated U.S. inflation report due later in the day. The greenback was boosted after the U.S. Department of Labor reported on Thursday that initial jobless claims fell more than expected to 243,000 last week. A separate report showed that producer prices increased 0.4% in September, in line with expectations. Core producer prices, which exclude food and energy also rose 0.4%, beating expectations for a 0.2% uptick. The data came a day after the minutes of the Federal Reserve's September policy meeting showed that policymakers remain divided on inflation. Several policymakers believe additional tightening will depend on upcoming inflation data. However, most Fed members said they feel another rate increase this year "was likely to be warranted," the report showed. Market participants were looking ahead to the highly-anticipated U.S. consumer price inflation data set to be released later Friday. Sterling remained under pressure after European Union chief negotiator Michel Barnier announced on Thursday that Brexit talks were at an "impasse." The euro remained mildly supported as Catalonia stopped short of formally declaring independence from Spain this week. However, European Central Bank President Mario Draghi reiterated in a speech on Thursday that the ECB's asset purchases would continue until officials see a sustained improvement in the outlook for inflation. Draghi added that interest rates would remain at current levels "well past" the time the central bank stops buying assets. Oil prices rose on Friday as both U.S. crude production and inventories declined, pointing towards a tightening market. With the Organization of the Petroleum Exporting Countries (OPEC) leading a production cut, analysts said that global oil markets were now broadly balanced after years of oversupply. U.S. crude inventories dropped 2.7 million barrels in the week to Oct. 6, to 462.22 million barrels, the EIA said late on Thursday. Crude production slipped 81,000 barrels per day (bpd) to 9.48 million bpd. Strong Chinese oil imports, which averaged 8.5 million bpd between January and September and hit 9 million bpd in September, also supported prices, as China solidified itself as the world’s biggest importer. China’s huge imports have been strongly driven by purchases for its strategic petroleum reserves (SPR). China has spent around $24 billion on building its crude reserves since 2015 and now holds around 850 million barrels of oil in inventory, according to the IEA. Despite the tightening market, Bernstein Research said that OPEC would need to extend the cuts beyond the current expiry date in March 2018 to further reduce excess stocks. OPEC, together with other producers including Russia has been restraining output since January. The pact to cut production is set to expire by the end of March 2018, and there are discussions for an extension Traders said they were awaiting a decision later on Friday by U.S. President Donald Trump on whether to continue to certify the 2015 Iran nuclear deal. Trump is expected not to certify the agreement, which has to be re-certified every 90 days and is due for renewal on Sunday. The step would not withdraw the United States from the deal but would give the congress 60 days to decide whether to reimpose new sanctions. Gold on Thursday made its intraday high of US$1297.39/oz and low of US$1289.55/oz. Gold was up by 0.119% at US$1293.38/oz. In daily charts, prices are above 50DMA (1267) and breakage below will call for 1234-1224. MACD is below zero line and histograms are increasing trend and it will bring upward stance in the upcoming sessions. RSI is in overbought region and more upside is expected before it gets stretched. Stochastic Oscillator is in neutral territory and giving positive crossover to confirm bearish stance for intraday trade. Based on the charts and explanations above; sell below 1300-1329 keeping stop loss closing above 1329 and targeting 1294-1288 and 1279-1273-1263. Buy above 1294-1279 with risk below 1279, targeting 1300-1311 and 1320-1329. Silver on Thursday made its intraday high of US$17.24/oz and low of US$17.08/oz. Silver settled down by 0.408% at US$17.22/oz. On daily charts, silver is sustaining below 200DMA (17.10), breakage above will lead to 17.80-18.00. MACD is above zero line and histograms are increasing trend and it will bring bullish stance in the upcoming sessions. RSI is in oversold region, indicating buy signal for now. The Stochastic Oscillator is in oversold region and giving positive crossover to show upside move for the intraday trade. Based on the charts and explanations above, buy above 16.70-15.00 targeting 16.70-17.00-17.30 and 17.70-18.00; stop breakage below 15.00. Sell below 16.70 -18.35 with stop loss above 18.50; targeting 16.80-16.50 and 16.00-15.60. Crude Oil on Wednesday made an intra‐day high of US$51.11/bbl, intraday low of US$50.14/bbl and settled down by 0.549% to close at US$50.71/bbl. On daily charts, oil is sustaining below its 200DMA i.e. 49.60 which is a major resistance and breakage above will call for 50.30-51.00. MACD is below zero line and histograms are in decreasing mode will bring bearish stance in the upcoming sessions. The Stochastic Oscillator is in overbought region and giving positive crossover for confirmation of bullish stance; while the RSI is in oversold region and more downside can be expected. Based on the charts and explanations above; sell below 51.20-53.00 with stop loss at 53.00; targeting and 50.10-49.00- 47.80 and 47.05-46.50. Buy above 50.90-46.50 with risk daily closing below 46.50 and targeting 51.00- 52.00 and 52.50-53.00. EUR/USD on Thursday made an intraday low of US$1.1826/EUR, high of US$1.1879/EUR and settled the day down by 0.303% to close at US$1.1829/EUR. On daily charts, prices are sustaining above 20DMA (1.1937), which become immediate support level, break below will target 1.1700-1.1600. MACD is below zero line but histograms are increasing mode which will bring bullish view. Stochastic is in neutral territory and giving negative crossovers to signal for bearish outlook for intraday. 14D RSI is currently in neutral region and giving upwards directions to consider buy. GBP/USD on Thursday made an intra‐day low of US$1.3120/GBP, high of US$1.3289/GBP and settled the day by up by 0.294% to close at US$1.3260/GBP. On daily charts, prices are sustaining above 20DMA (1.3306) is become major support level. 14-D RSI is currently in neutral region and direction is difficult to predict on RSI bases. The Stochastic Oscillator is in overbought territory and giving negative crossover to confirm bearish stance. MACD is below zero line and histograms are decreasing lead to downward movement. Based on the charts and explanations above; short positions below 1.3300-1.3450 with targets at 1.3260-1.3200 and 1.3150-1.3100-1.3020. 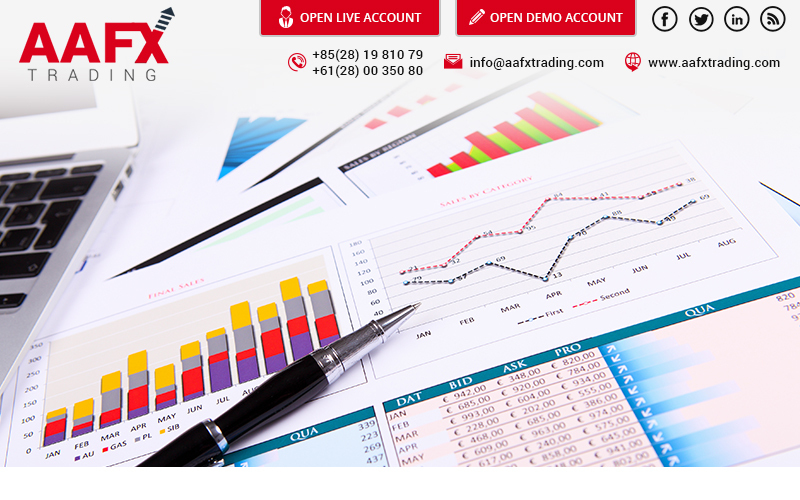 Buy above 1.3260-1.3015 with stop loss closing below 1.3000 targeting 1.3300-1.3360 and 1.3400-1.3450. USD/JPY on Thursday made intra‐day low of JPY112.11/USD and made an intraday high of JPY112.51/USD and settled the day down by 0.186% at JPY112.27/USD. In daily charts, JPY is sustaining above 200DMA (112.15), which is major support on the daily chart. 14-D RSI is currently is approaching oversold region. MACD is above zero line but histograms are in decreasing mode which might lead to downward movement. The Stochastic Oscillator is approaching overbought territory and signaling to sell as it has given negative crossover to confirm bearish stance. Sell below 112.30-114.50 with risk above 114.50 targeting 111.50-111.0-110.70 and 110.35-109.80. Long positions above 111.50-109.80 with targets of 112.30-113.00-113.60 and 114.00-114.50 with stop below 109.80.